If you’re looking to purchase a townhome, now might be a good time. There are numerous developments being constructed in the San Diego area, all of which offer a wide range of floor plans and amenities. To find out what’s available around you, give us a call at 619-GREATER (473-2837) or visit greatergoodrealty.com. It looks like Mission Valley just got another brand new development project. Thanks to Frame & Focus, the area’s master-planned Civita community will now be home to a group of newly constructed townhomes. The project, which will include 140 townhomes in two configurations, was designed and constructed in accordance with Shea Homes. The new development has two separate areas, referred to as Frame and Focus. The Frame development will include 64 units grouped around shared mortorcourts. All units are easily accessible, with front doors and two-car garages. 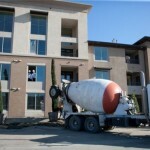 The units range from 1,584 to 1,983 square feet and are currently priced in the low $500,000’s. Focus, on the other hand, will include 76 units that offer rear entry and two-car garages. They range from 1,306 to 1,599 square feet and are priced in the mid $400,000’s. Paul Barnes, Shea’s San Diego division president, said these new units should appeal to buyers looking for a “cool, contemporary vibe.” He also thinks, considering the current market trends, that they won’t last long. “The last 12 months all consumers have been very optimistic about buying houses,” Barnes explained. “We haven’t heard anyone say now’s not the time. Interest rates are fantastic, job growth is continuous, unemployment is going down – all factors supportive of the housing market are occurring.” Barnes went on to predict that the Frame & Focus units wold sell out within 24 months or less. Sales at Frame & Focus won’t start until next weekend, when ten units will become available at Frame and six at Focus. For those who are interested, Shea Homes will be hosting a grand opening for the new development this Saturday at 2642 Aperture Circle, east of Mission Center Road and north of Friars Road. A rental townhome project off state Route 78 in Oceanside just set a local sales record. Los Angeles investment firm TruAmerica Multifamily, in partnership with Guardian Life Insurance, purchased Piazza d’Oro for $81 million. That works out to $366,516 per unit, which, according to the CBRE Group, is a new high for the area. The 14.4-acre project, located at 3402 Piazza de Oro Way, was originally developed by K. Hovnanian Homes as for-sale units. However, when the recession hit, that all changed. The company sold the property, which included 32 partially completed units, to ConAm. In 2011, ConAm completed construction and began leasing the property. Rent for the units, which range from 1,586 to 1,704 square feet, currently sits between $2,250 and $2,550.